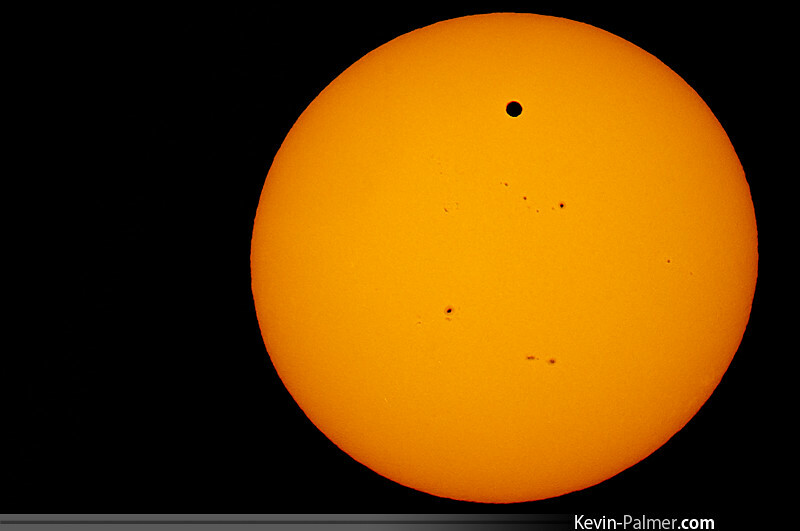 Please post your 2012 Venus transit images on this thread. 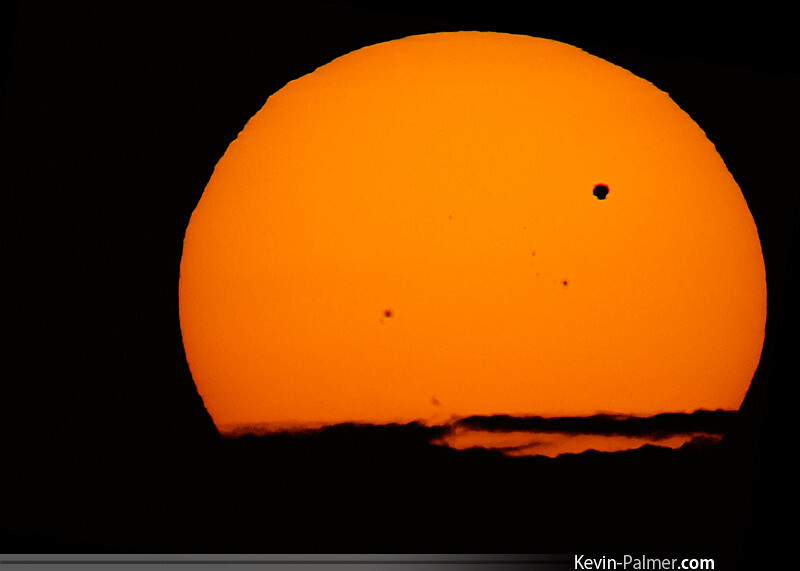 If you have photos from the 2004 Venus transit you'd like to share, please post them on this thread devoted to the 2004 transit. Thanks! 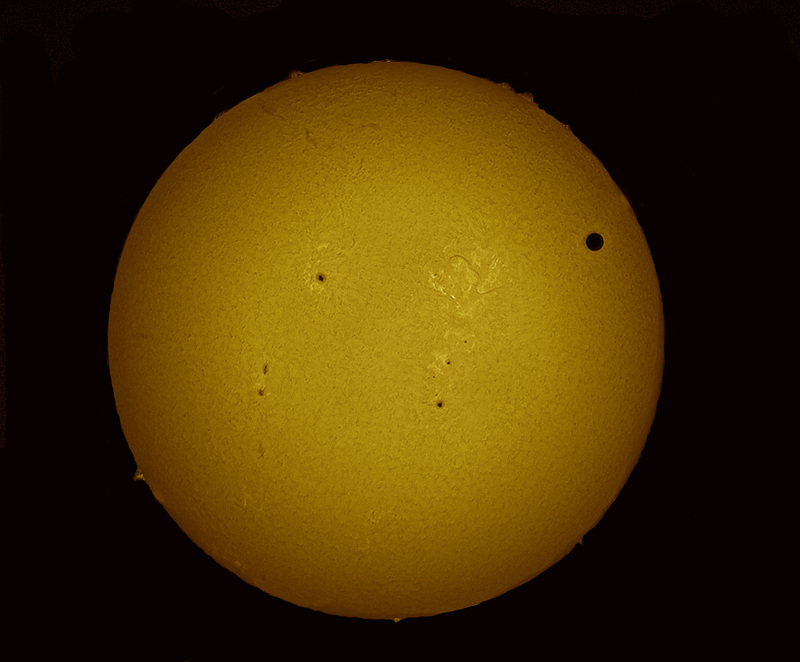 Previous APODs of Venus and Mercury transits can be viewed here. 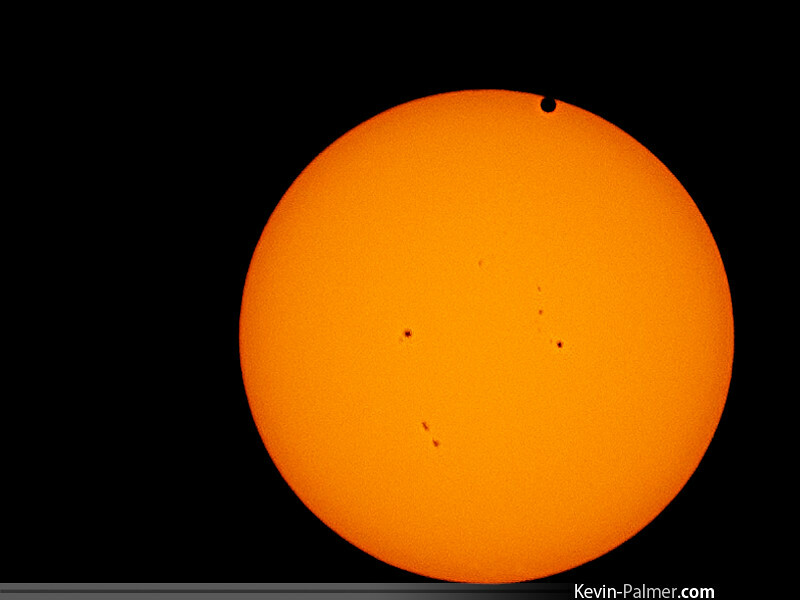 Additional images of the 2004 Venus transit can be viewed here. But I was still happy to see something that no one alive today will see again! New York was very cloudy, but we managed to get a couple of quick glimpses. My dad managed to get this shot through one of the breaks. Last edited by gpetrov on Wed Jun 06, 2012 4:12 am, edited 2 times in total. 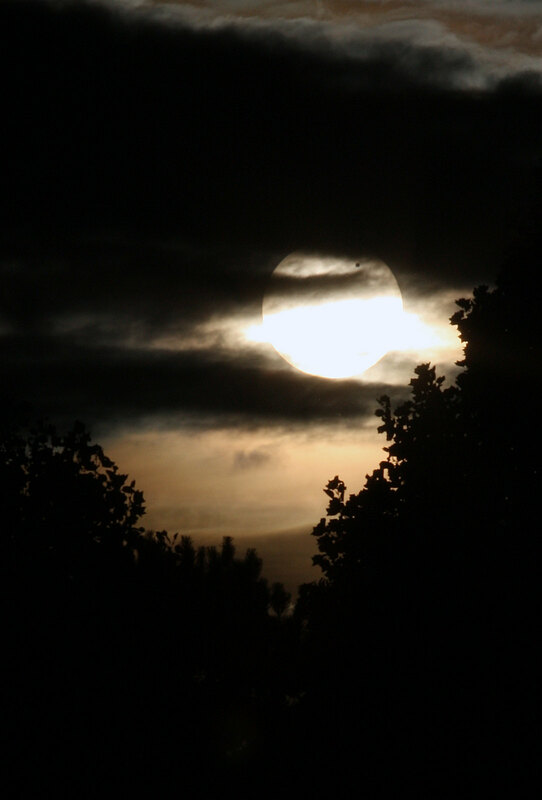 Projected the sun using a spotting scope onto white paper and snapped a picture with an inexpensive digital camera. Glad to be able to witness this once in a lifetime event! 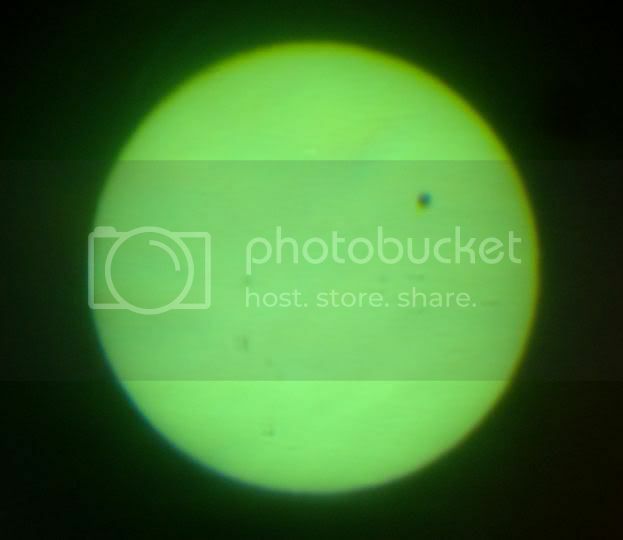 Three firsts at the same time: My first green flash, my first transit of Venus (and probably the last), and Venus' mirage. 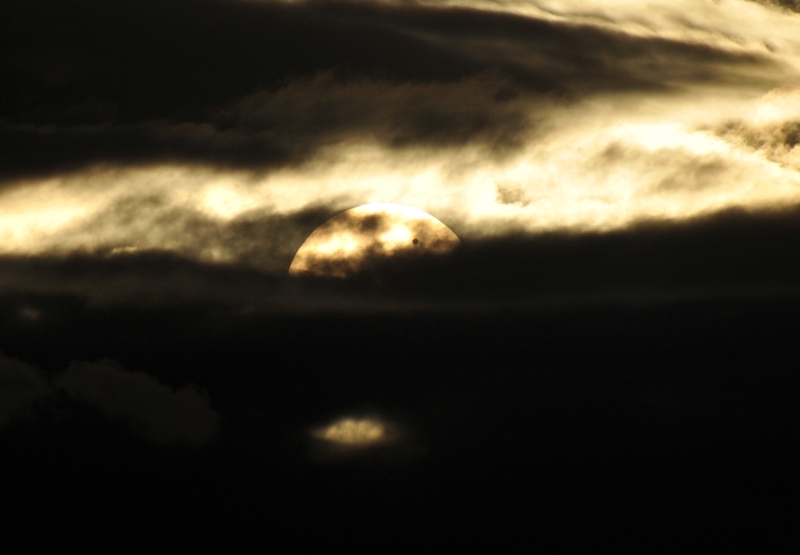 Clouds covered the sky but with a clearing on the horizon the sun was visible just as it set over the hillside. 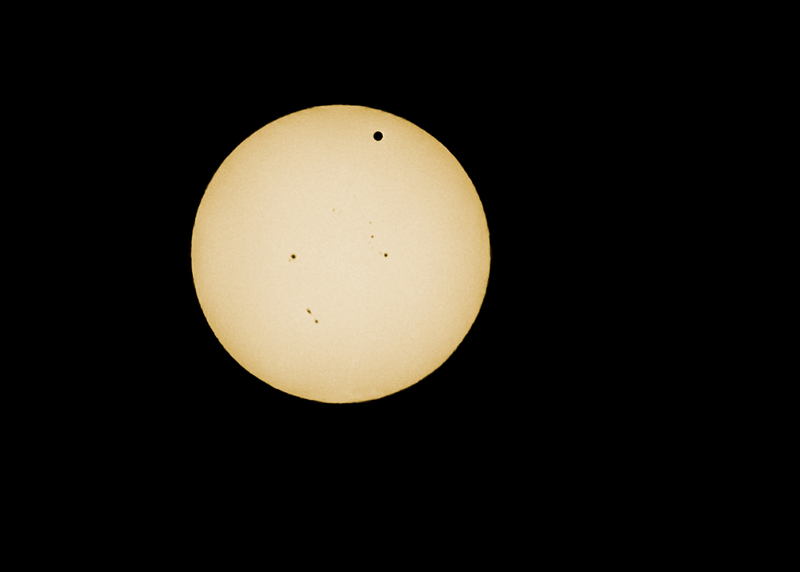 I had about 2 minutes to view the transit and capture a few shots. Beginning of Transit. 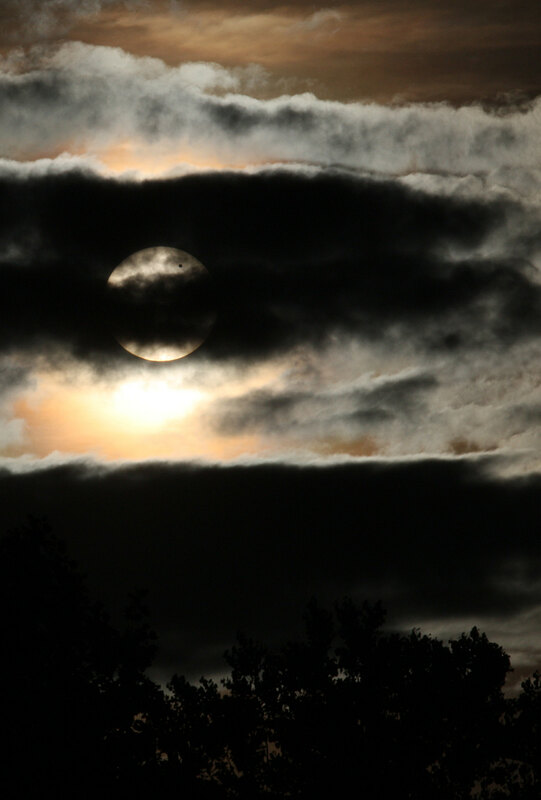 Taken through a 300mm lens with a solar filter. The middle of the Transit. This is a shot of the ceiling of my house using a telescope to project an image of the sun. A mirage of Venus just before the sun sets. This is a shot of the ceiling of my house using a telescope to project an image of the sun. All were taken with a Pentax K-x in Antioch, Illinois where the weather was perfect today. Copyright: Richard S. Wright Jr.
Welding helmet worked just fine, but I didn't take any pix through it. Here's a couple of my shots of the transit. Not the greatest transit picture, but dang good luck! I think that is a 737 in the upper left, taking off from Austin if my guess is correct. 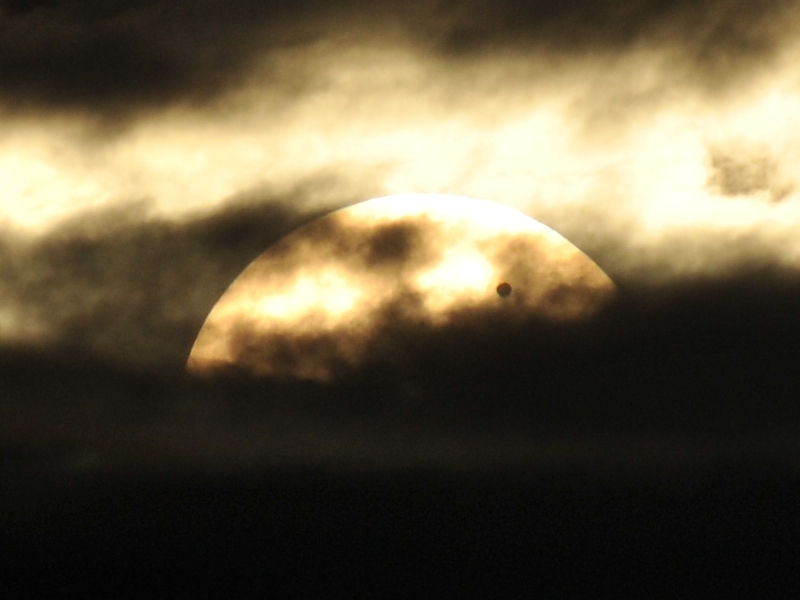 The transit of Venus in progress as the Sun sets behind the McMath Solar Telescope atop Kitt Peak located 12 miles away from the photographer. 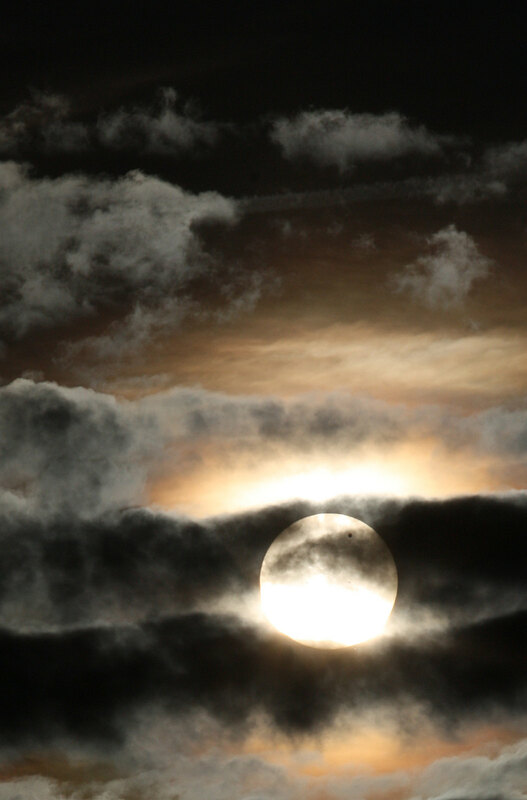 The image is a composite of the Sunset behind the McMath Solar Telescope through a solar filter and an image taken 3 minutes later after the Sun was below the mountain taken without a solar filter. Last edited by owlice on Wed Jun 06, 2012 2:19 pm, edited 1 time in total. Reason: Replaced img tags with img2. Thanks for sharing! DSLR image using a white light filter. I've got lots of video through a hydrogen alpha scope, but the processing for that will have to wait until tomorrow. I was dodging clouds the whole time. 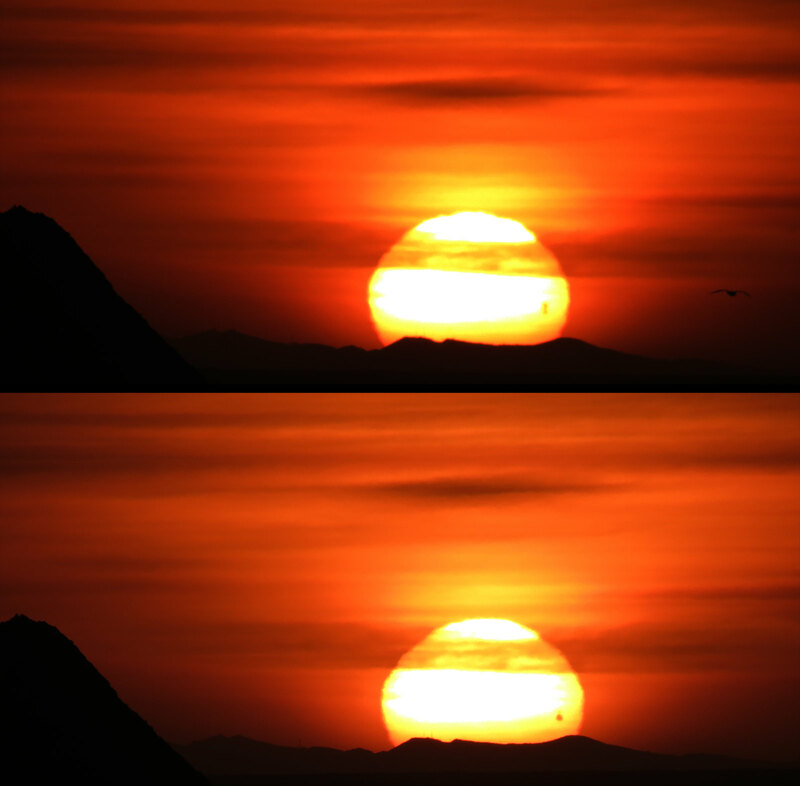 The upper frame shows mirage of Venus, in the lower frame Venus is back to normal self. The images were taken in San Francisco. Last edited by owlice on Wed Jun 06, 2012 5:10 am, edited 1 time in total. This was taken in the Mojave Desert, CA. I used a welder's mask.